The ONsite Versa V-Mount offers a solution to efficiently mount your ONsite Power System to a tripod, lightstand, pole, cart or c-stand. Plus, the option to wear your ONsite D-Tap to AC Power Supply and D-Tap battery from a camera strap or carabiner to keep power close at hand. The ONsite AC Power Supply Car Adapter allows you to plug in your ONsite D-Tap to AC Power Supply to any automobile DC 12V lighter socket. Charge your laptop, camera batteries, tablet, and smartphone from your vehicle. Ideal for travel and location shoots. Keep your set tidy, safe and provide power wherever it’s needed with the ONsite Versa V-Mount and ONsite Power System. 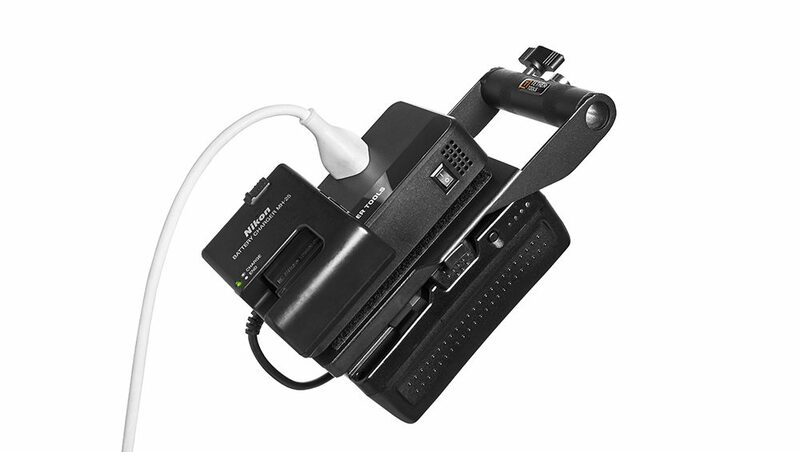 The ONsite Versa Mount secures your AC Power Supply via hook and loop, allowing you to easily remove the AC Power Supply from the Versa V-Mount and connect it to the Aero V-Mount when using the Tether Table Aero. The ONsite D-Tap Battery with V-Mount, or any standard D-Tap battery, secures to the ONsite Versa V-Mount plate using our quick release V-Mount plate with female D-Tap connector. The ONsite Versa V-Mount can be secured to a stand, tripod or cart using most standard grip gear. Mount a 5/8″ Baby Stud from either side of the mount, using a grip with a female 1/4″-20 to clamp from the top, or mount to a camera strap to the top using either a 1/4″-20 mount or included Hitch D-Ring. 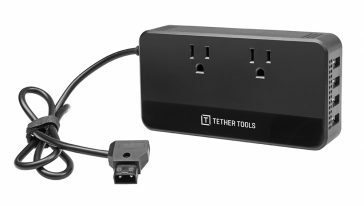 Note: Users of 85 watt (85W) or higher power supplies may experience intermittent charging (trickle charging) based on application usage. To determine your power supply wattage, please look on the power brick or consult your manufacturer’s website.